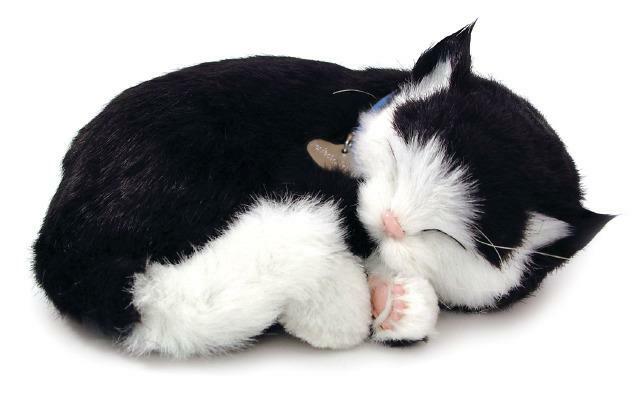 This cute little cat is lifelike and actually breathes. Offers a real pet ownership experience without the hassles and expense. 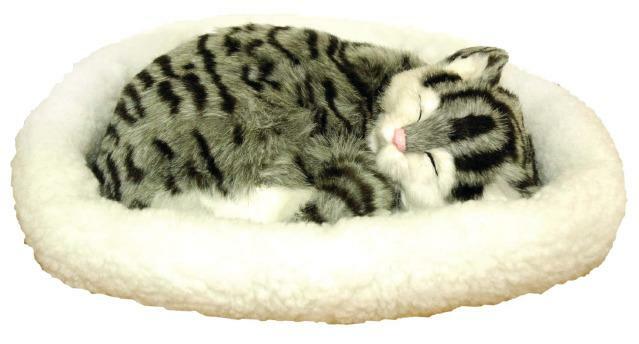 Comes with its own bed, brush, collar, pet tag, pet carrier and adoption certificate. Made of 100% synthetic fur. Dimensions: L: 10" x W: 7.5" x H: 3.5"